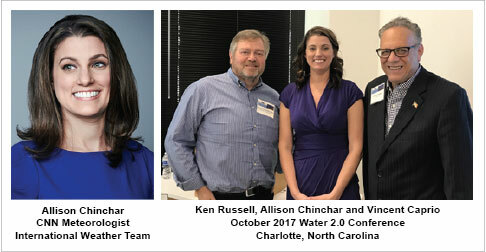 Allison Chinchar spoke at our Water 2.0 Conference in Charlotte NC last fall on the subject of “Flooding From a Television Perspective.” Throughout her career, she has covered everything from the Super Tornado Outbreak of 2011, to the paralyzing blizzard in the Mid-Atlantic in 2016, to covering Hurricane Patricia, the second-most intense tropical cyclone on record worldwide in 2015, to being live in the field covering Hurricane Isaac in New Orleans in 2012. Manufacturing Day℠ is a celebration of modern manufacturing meant to inspire the next generation of manufacturers. Manufacturing Day is an incredible opportunity to showcase the amazing work manufacturers do on a daily basis and to educate students, community members, media and policymakers on how integral manufacturing is to the local, national and global economy. 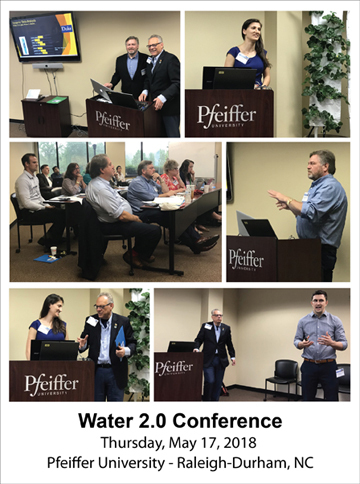 We welcome the opportunity to once again hear Allison Chinchar’s perspectives on weather and its effects on our water resources. Hope you will be able to join us on November 8th in North Carolina. The Orcelle and Neptune Awards Deadline is Approaching Soon! Hope to see you on November 8th in North Carolina. The 2018 meeting will present advances in nanomaterial exposure science, as well as the progress in bridging exposure, hazard, and risk in assessing the potential impact of nanotechnology-enabled goods and products. This two-day workshop builds on key themes that emerged from the 2015 Quantifying Exposure to Engineered Nanomaterials (QEEN) Workshop. This workshop is free and open to the public with registration on a first-come, first-served basis. Registration will be capped at 180 attendees. The workshop will also include a poster session. Our members value the monthly conference calls and our annual conference. These are the two major features to NanoBCA membership. 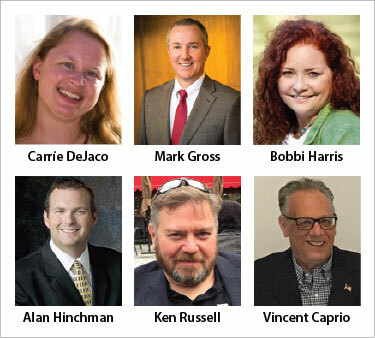 I hope to see you at the NNCO Workshop on October 9-10 in Washington DC. You are currently browsing the Evolving Innovations weblog archives for August, 2018.